Many automation tasks involve some user interaction, such as presenting operator displays with continuously updating values, and allowing the operator influence the process. Software packages that provide this kind of functionality are commonly called HMI-s. Dedicated OPC HMI packages exist from various vendors, but for many purposes, they are too complicated and costly. And, if you have more specialized needs, it may be difficult to customize their functions to your liking. That's where OPC client components like QuickOPC can help. Using C#, or programming language of your choice, you can create HMI screens together with application logic, and other OPC data processing as needed. Subscribing to a value in an OPC Data Access server and linking it to a control on the screen, or writing a data value can be achieved in just several lines of code, and sometimes with no code at all. OPC Alarms&Events, and OPC-UA (Unified Architecture) specifications are also supported. QuickOPC component interfaces hide the complexities of OPC client development and allow you to focus on your main task. The example connects to our Simulation OPC Server, but you can quickly modify it to connect to your OPC server instead. Simply download the product and then open the project, or follow the tutorial below (in C#). 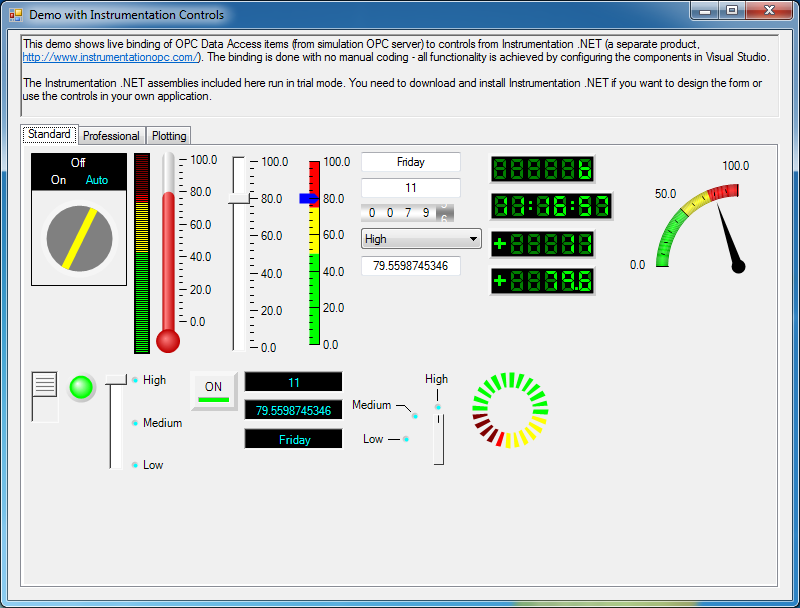 The Live Binding feature of QuickOPC gives you the possibility to create HMI screens without any manual coding. 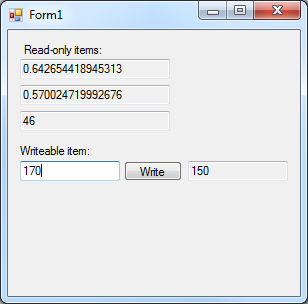 Just drag the controls to the form's surface (in Visual Studio), and use the wizard to bind their properties to OPC data. The live binding model is not limited to or associated with any particular set of UI controls. More information on Live Binding.